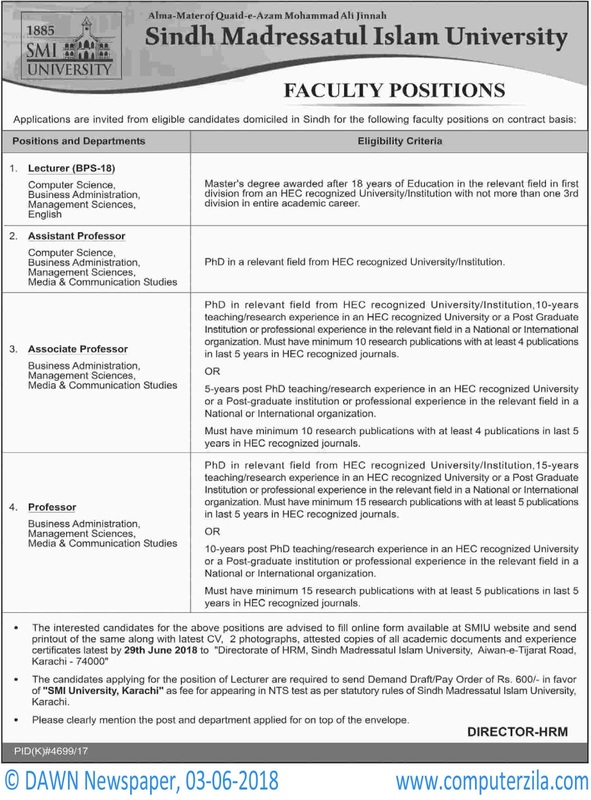 Faculty Positions at Sindh Madressatul Islam University (SMIU) in Karachi Cities. Sindh Madressatul Islam University is a Government Organization which requires employees for Teaching, Lecturer, Assistant Professor, Associate Professor, and Professor Jobs in cities Karachi. SMIU one of the oldest institute in Karachi offers jobs in its different departments of university i.e. Computer Science, Business Administration, Management Sciences, English, and Media & Communication Studies. interested candidates should send their CVs with required documents to university by given date.